Not only did Effective Marketing create a professional looking site for Lavignes, but we also made their site Search Engine Friendly. Google naturally placed LavignesCanvas.ca in the top of search engine results pages (SERPs) . We targeted many of their product keywords like Boat Tops, Awnings, Gazebos. Even though Effective Marketing made the site Search Engine Friendly (SEF), we attached a Google Adwords Campaign to further assist expanding the Lavignes Canvas Brand. This site was built from the ground up with Search Engine Optimization as the main component. The client wanted to be ahead of their competition in Search Engine Result Pages (SERPs), so we went to work optimizing every aspect of SEO. Not only is the site Search Engine Friendly (SEF), but also created a simple, yet widened navigational system that was easy to use for the end user. Coupled with a clean and branded colour scheme, the site is a masterpiece that you can enjoy using. The backend of the site for the business to use has integrated social media and auto posting to their social networks from their blog. By sending an email to the site, their messages are on their site and social media, with just one click. We at Effective Marketing know Brands, and maintaining Brands. Lavignes Canvas wanted to keep their existing logo as that is what their customers have come to know them by. So we expanded on their brand with a colour swap. By simply reversing the colours of their logo we were able to keep their brand and create a stunning header for their website. Lavignes Canvas was beyond happy with every aspect of the site. From its simple design to the results that came in from the marketing campaigns. With increased website traffic and lead phone calls, the site is a successful marketing tool. 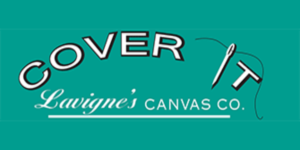 If your looking for anything that is made of canvas, Boat Tops, Awnings, Gazebo, please visit our friends at Lavignes Canvas.